Fabulous Opportunity For First Time Buyers. 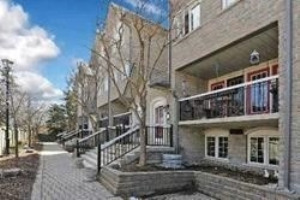 3 Bdrm Family Townhome In The "Brownstones Of Pickering". 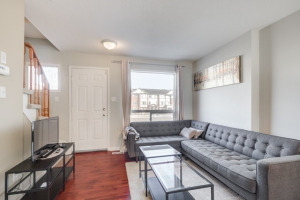 Walking Distance To Ptc, Smart Centre, Rec Complex, Go Station And Transit. Freshly Painted. Huge Master Bdrm Loft W/ Walk-Out. Open Concept Kitchen And Living Area. Walk Out From Living Room To Patio. 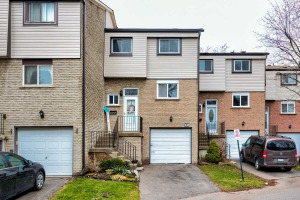 Well Cared For And Move In Ready !!! Fridge, Stove, B/I D/W, Washer, Dryer, All Electrical Light Fixtures, All Window Coverings.